View basket “300mg CBD Oil – 20ml” has been added to your basket. 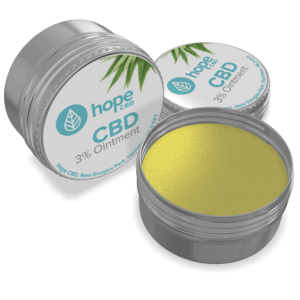 The New HopeCBD 500mg CBD Spray is a unique delivery method for CBD oil as opposed to using a traditional dropper. This broad spectrum oil is has 500mg of naturally flavoured, ultra refined golden CBD oil and is presented in a 20ml bottle giving this oil a strength of 2.5%. The new 500mg CBD Spray from HopeCBD is a simple as it is natural. Made with CBD Rich Hemp this product contains a full profile cannabinoids and terpenes. This 500mg CBD Spray is a broad spectrum extraction with zero THC. Atomizer spray delivery method provides 125 sprays per bottle. The atomizer delivery method provides rapid absorption as the spray breaks up the particles into a fine mist. I’ve been using this for about 6 months now and I can honestly say that it has changed my life. I’ve been on and off psychiatric meds since I was 15 and at the time I started this I was off everything and really unwell but straight from the get-go cbd has helped more than anything I’ve ever been prescribed. This spray, as long as I keep taking it daily (like meds), has help me overcome suicidal thoughts and although I still struggle with other aspects of my mental health, I now have a more positive outlook and am back on track to persuing my life goals. It also really helps with physical pains. I’ve recommended this to everyone and their auntie and been told I’m obsessed…I am obsessed….obsessed with sharing this beautiful, versatile medicine with the world.